Gladys Arlene (Mast) Brown age 88, of Millersburg, Ohio passed away Friday, February 1, 2019 at Walnut Hills Nursing Home, Walnut Creek, Ohio. Gladys was born to the late Raymond and Ida (Miller) Mast on October 20, 1930 in Sugarcreek, Ohio and married Victor R. Brown on September 3, 1954, who preceded her in death on June 12, 2015. Surviving is her daughter, Amy (Brad) Young of Wooster; grandchildren, Michael Hyder of South Carolina, Bethany (Josh) Morrow of Wooster, Justin Young of Texas and Cara Young of California; many nieces and nephews; and a host of cousins. She was preceded in death by daughter, Glenda; brothers, Ray Jr. and Gerald Mast; and a sister, Ruth Shrock. Gladys was an active member of Faith Lutheran Church and many local organizations. On the first Friday of every month she attended game night, where she loved playing Chinese Checkers and once a month, enjoyed eating with the "Lunch Bunch". A Celebration of Life service will be held 2 p.m. Saturday, Feb. 9th at Alexander Funeral Home, Millersburg, Ohio with Chuck Chase narrating. Friends may call from 1 to 2 p.m. Saturday at the funeral home. 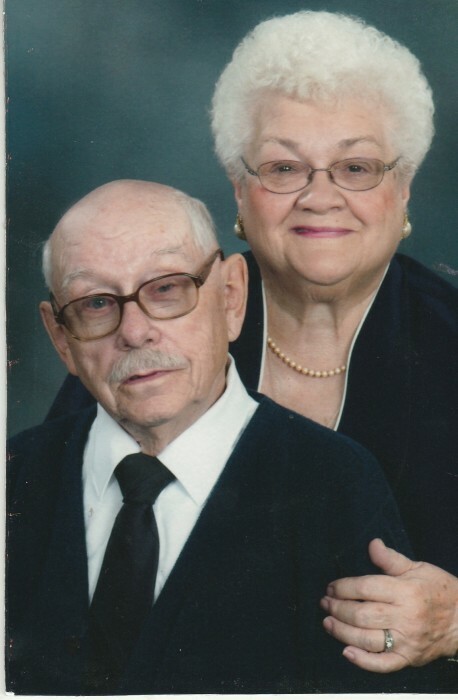 Gladys and Vic's ashes will be interred at Walnut Creek Mennonite Church Cemetery, following the service on Saturday. Those who wish may make memorial contributions to Faith Lutheran Church, 187 South Clay St., Millersburg, Ohio 44654 or to LifeCare Hospice, 1900 Akron Rd, Wooster, Ohio 44691.